I have to rant a little bit. I don’t care what people say about potatoes, I don’t think they are terrible for you. I feel like anything that is provided by the Earth can’t be that bad and I think potatoes get a bad rap. Sure, my favorite food ever is French fries, but that doesn’t mean that the only thing way to eat potatoes is cut them up and fry them. As long as we don’t eat potatoes all the time, it’s okay to eat them in moderation, like everything else, right? 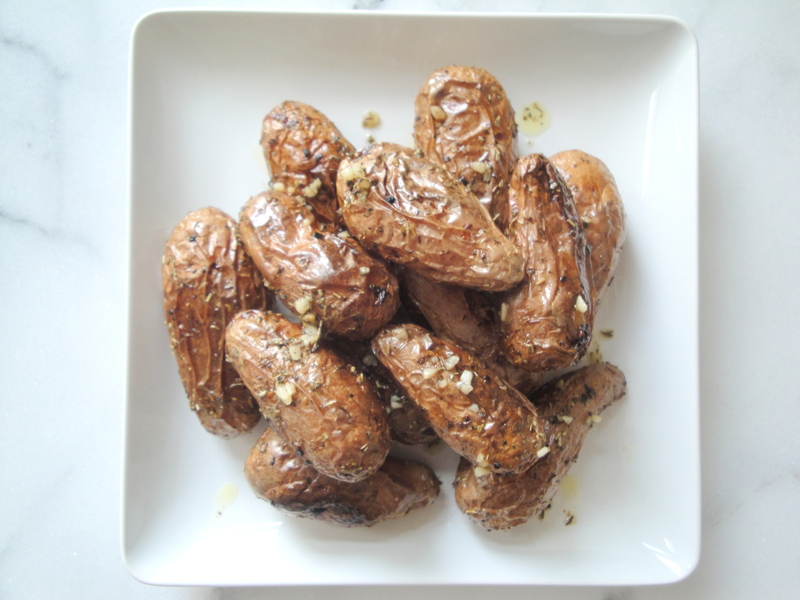 Well, these Roasted Baby Potatoes with Herbs are baked and packed with flavor so there is no reason to feel guilty. 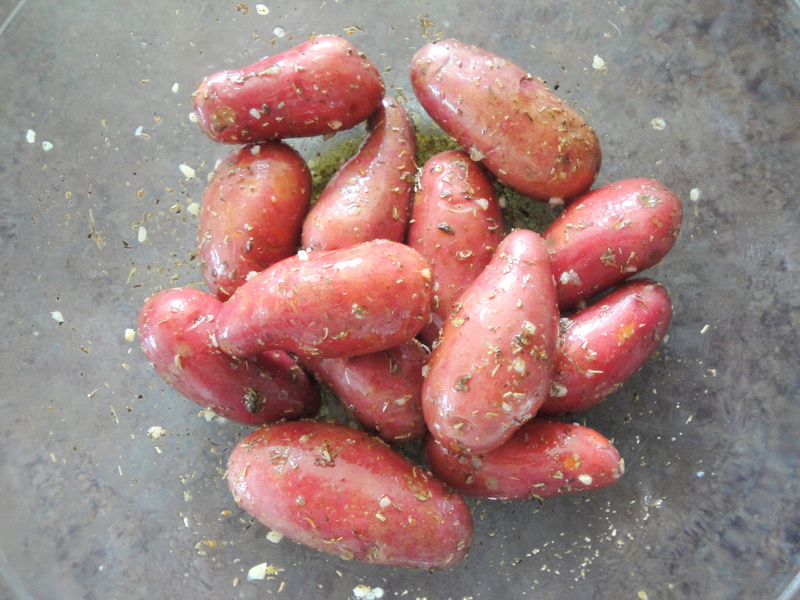 Baby potatoes are tossed with garlic, olive oil, and herbes de Provence and roasted until soft and tender. This is a recipe from Giada De Laurentiis who is the person who first introduced me to herbes de Provence many years ago. Since that day, I always have the herbs on hand and toss it with my chicken, veggies and almost always with my eggs. They are simple, fragrant and mildly floral which really works with these rustic potatoes, which are slightly chewy on the outside but perfectly creamy on the inside. I literally used a fraction of the amount of olive oil than what was called for here, just enough to lightly coat the potatoes, and they were still plenty flavorful so use your judgment. 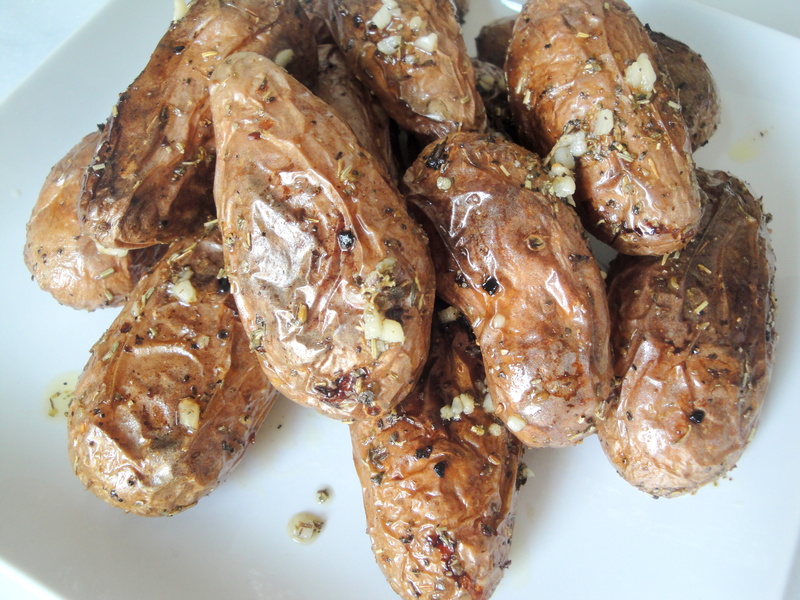 These garlicky potatoes were an amazing side dish and unbelievably simple. 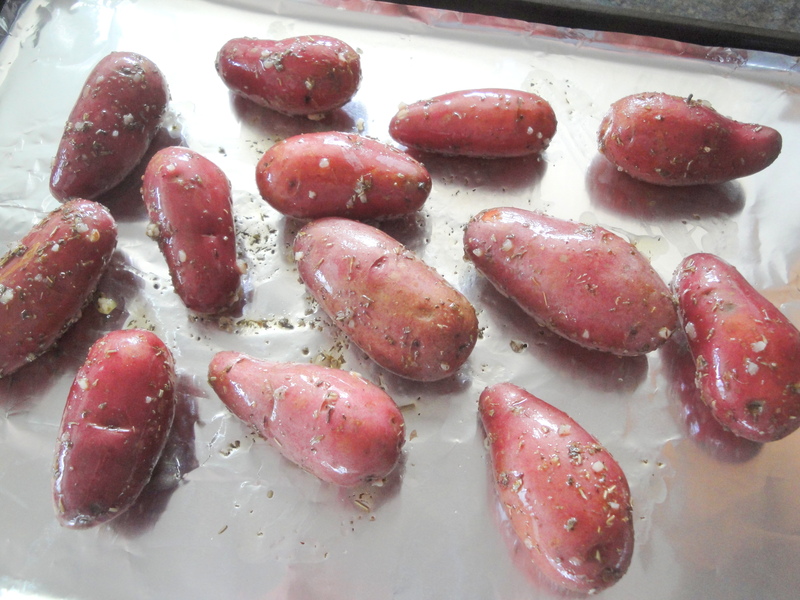 Preheat the oven to 400 degrees F. Put the potatoes into a large bowl. 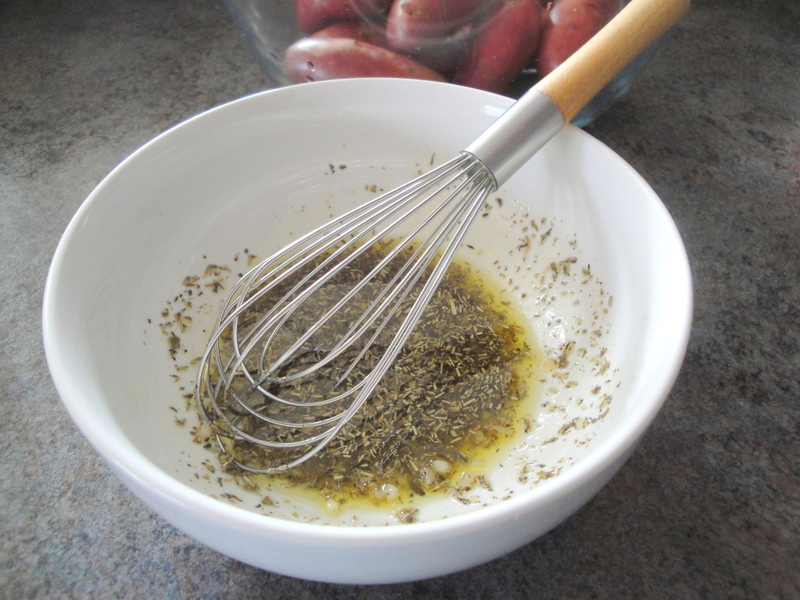 In a small bowl, whisk the herbs, garlic, and oil together until blended, and then pour over the potatoes. Sprinkle generously with salt and pepper and toss to coat. Transfer the potatoes to a heavy large baking dish, spacing them evenly apart. Roast the potatoes until they are tender and golden, turning them occasionally with tongs, about 1 hour. Serve hot or warm. Go potatoes! I love them too.